Einstein is theorized of E=Mc^2. This means Energy=Mass*the speed of light^2. There are many versions of light. Visible light Con is it’s if 7 main colors which create the spectrum. These colors are Red, Orange, Yellow, Green, Blue, Indigo, and Violet. 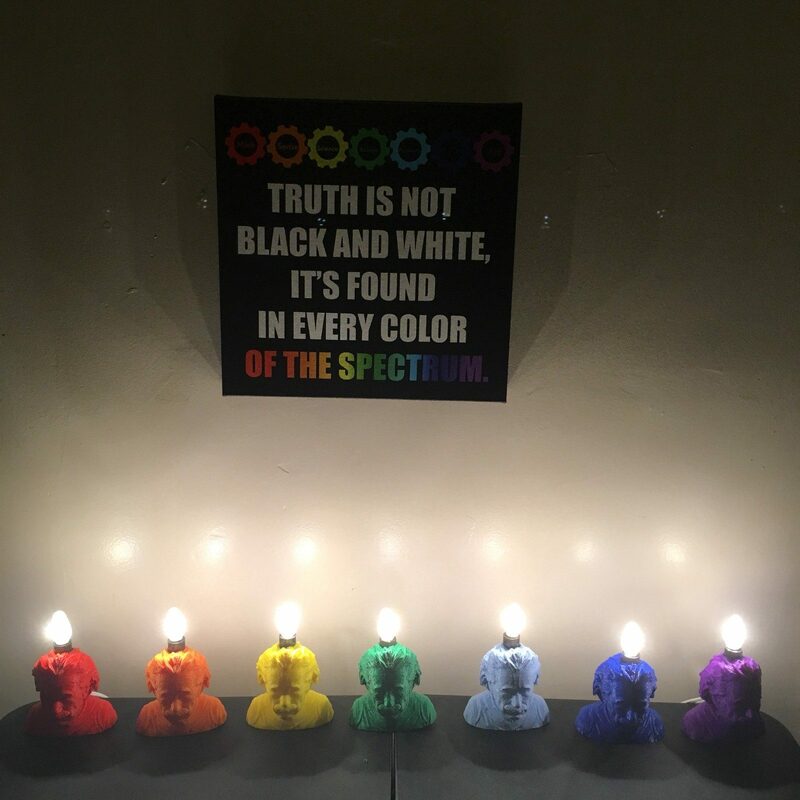 I decided to 3D print ROYGBIV Einstein nightlights because of the importance of light in his theory of relativity. Visible light is the kind that we experience most easily as humans, and I think the vibrant colors inspire the mind to think about the variants of reality as interconnected and yet different. Obviously, each color looks different to the eye, and yet holistically each color combines to create a singular structure, just as the nature of an equation such as E=Mc^2 is singular.